Sleep deprived? Device takes baby for a stroll so you can rest instead! A walk in the pram is often just the ticket for lulling baby to sleep, but it’s not always a practical solution. 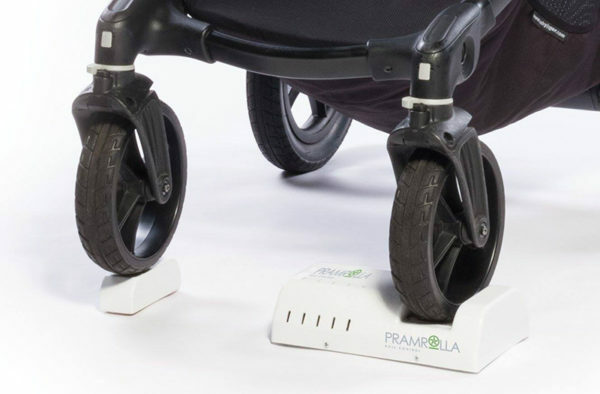 Pramrolla mimics the relaxing motion felt by a baby when being pushed in a pram, helping to send them off into sweet blissful (heavy) slumber – even at 4am – without stepping out the door. Pramrolla is coming to the rescue of parents who just don’t have the energy to take one more step with the pram. An ingenious device designed by a very clever dad to assist babes who can’t sleep, won’t sleep or are just plain unsettled. Compatible with any three or four wheeled full size or jogger style pram, simply set up the Pramrolla rolling unit, attach your pram with bub safely secured and off it goes. All while staying stationary. See it in action above! The Pramrolla pack includes everything you need to get rolling, including a carry bag to make it easier to throw in an overnight bag to Nanna’s. Priced $149, you can purchase direct from Pramrolla.